It’s the Big Three for Buckley Fence! 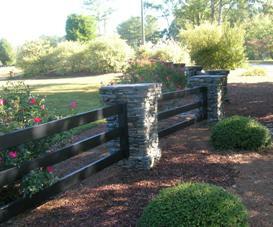 In the fall of 2007, Buckley Fence was launched, after three years of research, design, and development. Our very first customer was in Jackson, Wisconsin. We helped him find an installer who installed the Alumashield Fence for a paddock to secure his two horses. Next was an installation of white Steel Board Fence as a perimeter in New Mexico, quickly followed by a black Steel Board Fence installation of paddocks in Campbellsport, Wisconsin. Then came our customer in Coalville, UT who himself installed the Steel Board Fence in black around the perimeter of his professionally landscaped property surrounding his home. And the list goes on and on. Today, we have installations in 21 states and have quadrupled our 2009 sales so far this year. We moved to a larger facility earlier this year to accommodate our growing business and demand for our products. We’re on to something here, and it’s exciting! In our three years of operation, we have implemented product design enhancements that were customer driven, such as improving the strength of the Steel Board rails, and designing mounts for customers wanting to add a protective layer of electric wire or coated wire mesh. We also improved the design of our shipping crates to protect the product better during shipping and to reduce the weight of individual crates for easier handling by our customers in the field. Our new facility allows us better quality control overall, particularly with packing and shipping of the fence components. 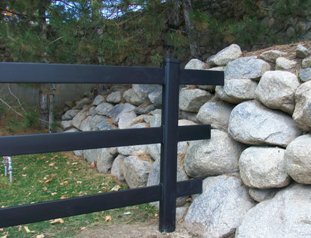 Steel Board in black is our most popular product, with our Alumashield and Steel Board Fences in white running a close second. We consistently hear from our customers that they do not want another wood or vinyl fence. They want something better and stronger; something that will last and not require constant upkeep. What intrigued them initially is the fact that our fence is the first of its kind, namely a board fence made of galvanized powder coated steel. What convinced them to buy is the quality at every level of an exceptionally designed fence. 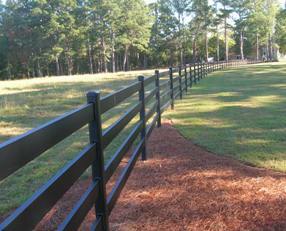 When they see the Steel Board Fence installed on their property, they know they made the right decision. In fact, they love it! We will soon be adding a photo gallery page to our website since pictures are what most people want to see. Until then, take a look at a few pictures of our latest installations. If you too want something more than wood or vinyl and are willing to pay more for exceptional quality, call us at 877.306.4024 to learn more about the Buckley Fence product line or visit us online at www.buckleyfence.com. We will be glad to send you a sample or provide a quote. Mostly though, we would love to talk with you about your fencing needs and our solutions. We want you to become a happy and satisfied customer too! Please "Like" our page on Facebook and Follow us on Twitter! 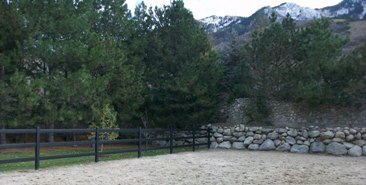 « Horse Fencing: Why Not Choose the Eco-Friendly Option?